(Bloomberg) -- President Donald Trump was already struggling to rally Arab support for a long-awaited Middle East peace plan he’s dubbed the “deal of the century.” His latest move in support of Israel may make that plan dead on arrival. 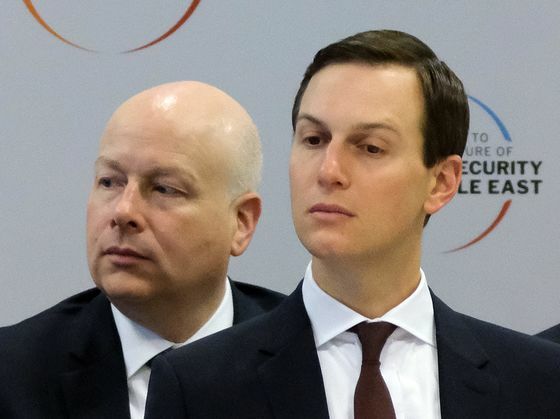 Saudi Arabia and Egypt are unlikely to throw their weight behind the proposal being drawn up by Jared Kushner, the president’s son-in-law and adviser, and White House Middle East peace negotiator Jason Greenblatt, according to interviews with key diplomats and analysts in Washington. One diplomat called the initiative, which has yet to be made public, “hocus pocus” and doubted whether Trump -- who has raised questions about whether he supports a Palestinian state -- cares about a negotiated settlement. Kushner traveled to Saudi Arabia in February to discuss his proposal with King Salman and his son Crown Prince Mohammed bin Salman. Yet the Saudi royals, like officials in other Arab countries, are mindful that their public is staunchly pro-Palestinian and that any move to normalize ties with Israel risks bolstering opposition and even terrorist groups like al-Qaeda. To try to cinch support, Kushner has cultivated close ties with Prince Mohammed, Saudi Arabia’s de facto leader, since the earliest days of the Trump administration. The crown prince was seen as having both the influence and money to prod the peace process forward, and an alliance with Saudi Arabia was the centerpiece of Trump’s Middle East strategy. Yet his reputation as a reformer was largely destroyed by the killing of the Saudi columnist Jamal Khashoggi at the kingdom’s consulate in Istanbul last fall. Prince Mohammed is widely suspected to have known about or ordered the killing, an accusation the Saudi government strongly rejects. Even without the Khashoggi controversy, Trump’s repeated actions in favor of Israel were making it harder to back his peace plan. The Palestinians see the Golan declaration as the U.S. rolling out its Middle East peace plan without a formal announcement. Palestinian Foreign Minister Riad Malki said on Sunday he hadn’t seen Trump’s peace plan and was unaware of any Arab country having received a copy. Egyptian government officials and officials with the Saudi embassy in Washington didn’t respond to a request for comment about their support for the peace proposal. The Trump administration doesn’t think the Golan announcement will impact its peace plan, a senior White House official said, asking not to be identified. Condemnation of Trump’s Golan declaration last week was swift, encompassing Arab states he has courted as well as European allies. Saudi Arabia warned it was a violation of international law that would have “negative effects” on the peace process. The Organization of Islamic Cooperation condemned it as an “explicit violation” of UN Security Council resolutions. UN ambassadors from France, Germany, Britain, Poland and Belgium said in a joint statement that they don’t recognize Israel’s sovereignty over the Golan. The UN Security Council held a meeting last week in which nearly all members rejected Trump’s action. 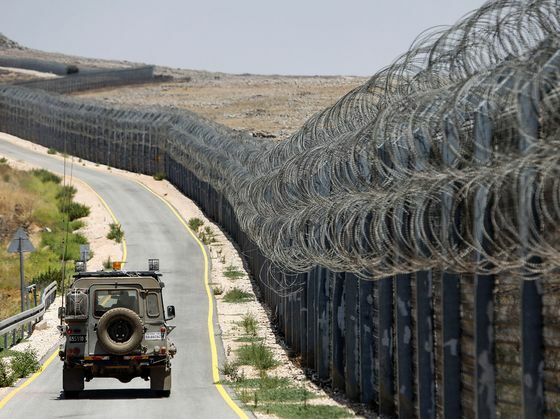 In Lebanon, Hassan Nasrallah, the leader of the militant group Hezbollah, said a relatively muted response in the Arab world to Trump’s decision to move the embassy encouraged the U.S. to go forward with its Golan policy shift, and he warned that the West Bank would be next. Trump has said Israel will have to make concessions in any peace proposal, but there’s been little sign of what those might be. In fact, very little is known about the Kushner-Greenblatt proposal at all. The plan’s unveiling has been repeatedly pushed off. It won’t be released until after Israel holds elections on April 9, the White House official said. At a closed UN Security Council meeting earlier this year, Greenblatt faced a barrage of questions from diplomats over whether the plan allows for the creation of a Palestinian state. Greenblatt, the diplomats said, was non-committal, even though a two-state solution has been a central pillar of peace efforts for decades. Vice President Mike Pence previewed Trump’s Golan recognition last week at the annual pro-Israel AIPAC conference in Washington, receiving loud cheers and sustained applause. The president later that day announced his decision standing alongside Israeli Prime Minister Benjamin Netanyahu -- who’s in a tight re-election race -- at the White House. Trump said he made the change to protect Israel from aggressive actions by Iran and terrorist groups. For European allies, the U.S. move represents another example of the Trump administration’s willingness to make unilateral decisions that jettison international law and undermine decades of diplomatic protocol. European countries didn’t back Trump’s decision to pull out of the Iranian nuclear accord either, and haven’t followed him in relocating their embassies to Jerusalem, saying a decision about Israel’s capital can only be made in peace talks. At this point, analysts say, it’s unlikely that even Prince Mohammed’s support could help build broader backing in the Arab world. Palestinian officials have repeatedly ruled out negotiating with Trump, saying the U.S. has lost its traditional role as a mediator in the conflict.